Talking about Justice, what about fairness on the following incidents? 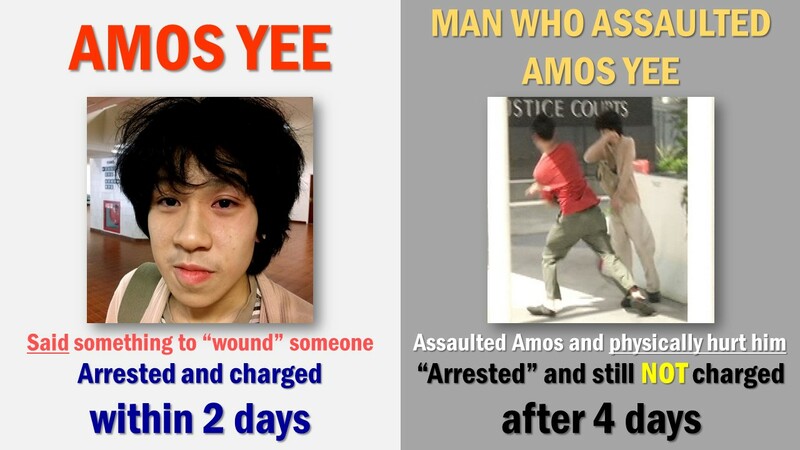 Assaulting someone is less of a crime than just saying something [Updated 11 May 2015: Man gets 3 weeks’ jail for slapping blogger Amos Yee] ? If what Amos Yee transmitted in his video is sexual images, what about this?